At Ellie Cade Custom Homes, we provide stunning and luxurious homes, personalized to the likes and desires of our customers. Your lifestyle and tastes will be considered in every aspect of the project from the beginning floorplans to the finishing touches. Purchasing one of our Ellie Cade Custom Luxury Homes puts you in some of the most desired custom homes in the luxury real estate market through the St. Louis area. We guarantee that homeowners find every part of their home renovating or building process to be a top of the line, gratifying experience. We differentiate ourselves from other companies by providing you with access to your luxury house plan where you can review permits, pictures and more. You can also submit questions to your project manager who will do everything possible to assist you and keep you up to date on everything going on with your Ellie Cade Custom Home. The home you live in is a reflection of who you are and your personality. At Ellie Cade Custom Homes we believe that truly personalizing your home begins with your unique design choices. We have the ability to provide our customers with personalization opportunities allowing them to provide input on the design process for their customized home. We can show you images of finished rooms for inspiration purposes, and then provide you with one-on-one assistance to guide you in comparing and selecting everything from different flooring options, lighting, appliances and bath products. The final result is your Ellie Cade Custom Home, designed personally by you. 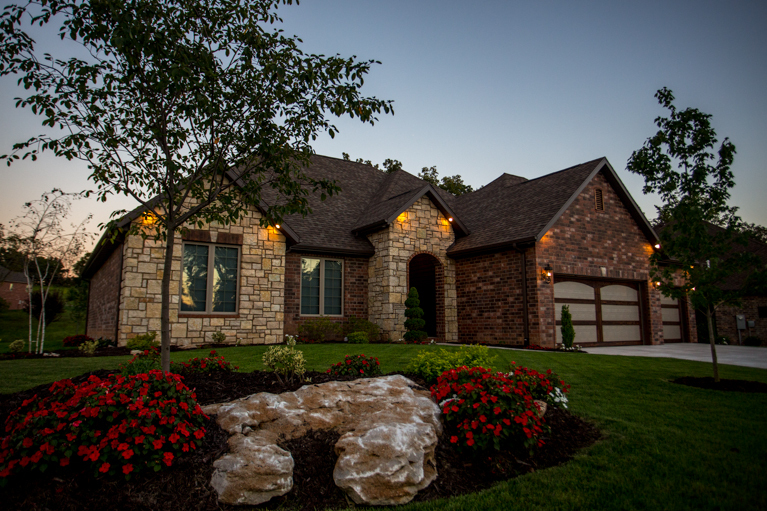 At Ellie Cade Custom Homes, we support our customers through the entire home building development plan. That includes the pre-construction, construction, and closing phases of the process. We do not just build and sell homes. It is our personal goal to obtain real relationships with each and every one of our customers. The building of your luxury home does not need to be as stressful as it may seem. Let us simplify the process and help you in designing and building your dream home. Give us a call to get started today!